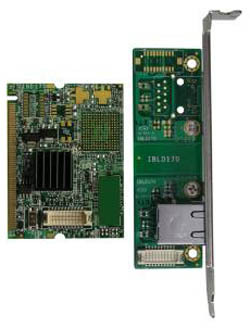 Mini-PCI, Gigabits Intel Network Interface. Build on a Mini-PCI type III add-on card. like MB899, MB896, MI910, MI945X, MI945 and all the boards with MiniPCI slots. - Detected as Intel® PRO/1000 MT network.